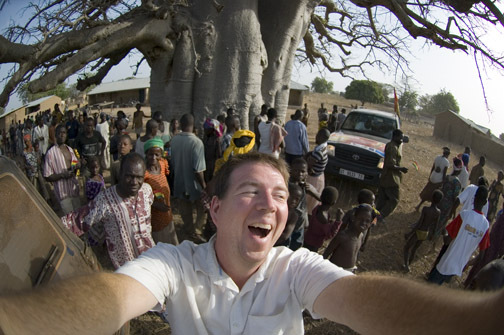 Me, in Ghana, West Africa a few years ago. Are you looking for a trusted house sitter to look after your home and pets while you’re away? You’ve found the right person. I’m a writer by trade and I travel extensively. I started as a house sitter more than a decade ago by taking care of the homes and pets of friends and family. It has now become a lifestyle that allows me to travel the planet and while working online. Running a writing/consulting business on the road means I have to be very responsible and dependable — which applies equally to house/pet sitting. I’m active and walk and cycle as much as I can. In 2015 I looked after several properties with pets. I had three house sits in Nova Scotia, Canada (two cats, one dog), a four-month house sit in rural Ireland (with two cats) followed by two months in Scotland (one dog). In 2016: two house sits in Nova Scotia (cats at both), one house sit in North Vancouver, BC (one cat), and a house sit in Scotland to end the year. 2017 started off in Scotland and then I headed to Nova Scotia (one cat). After that, Scotland (two cats) and Ireland (one cat) for the summer. And back to Scotland (no animals) to fill out the year. 2018 saw me travelling to Guatemala and Sechelt, BC. I’m now booked until August 2019, but I’m available after that. As for me, my needs are basic. Dependable internet access and the ability to walk/cycle for groceries if a car us unavailable. My preference is for longer house sits, but I will consider short ones if I’m available/in the area. Many of my house sits are with regular clients, and they can attest to my skills and trustworthiness. You want a house sitter with great references. I am always available by email, phone or Skype should you want to discuss a potential house sit. Contact me for additional references and I will put you in direct contact with homeowners I’ve worked with. If you’re looking for someone who is experienced, respectful, trustworthy and an animal lover, you’ve found him!